Think, marvelous. Think, spectacular. Think, cool. Very Cool. 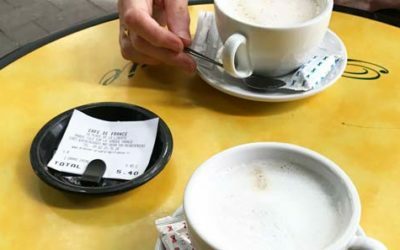 There is nothing to prepare you for what you encounter at Les Baux. You step from bright, hot sunshine into the dark, refreshing, cavernous realm of a fantastic world. Impossible to accurately describe, the unique sensory art experience is known as the Carrières de Lumières (Quarry of Lights) which completely surrounds you in imagery and sound. It’s like walking into a kaleidoscope. This year you will encounter another time and place as you are transported into the visual world of post-impressionist, Vincent van Gogh. Music plays throughout, on a state-of-the-art sound system. Enormous masterpieces float, move and fade in and out of each other as they are projected from over 100 projectors onto the massive array of quarry walls and the ground beneath your feet, literally enveloping you in paintings. It is a superlative artistic experience like no other. We have been moved to tears with its beauty. This is really one of those things you have to experience to appreciate. We can guarantee that you will be impressed and truly inspired. Every year different artwork is used for this tribute inside the mountain quarry of Les Baux. 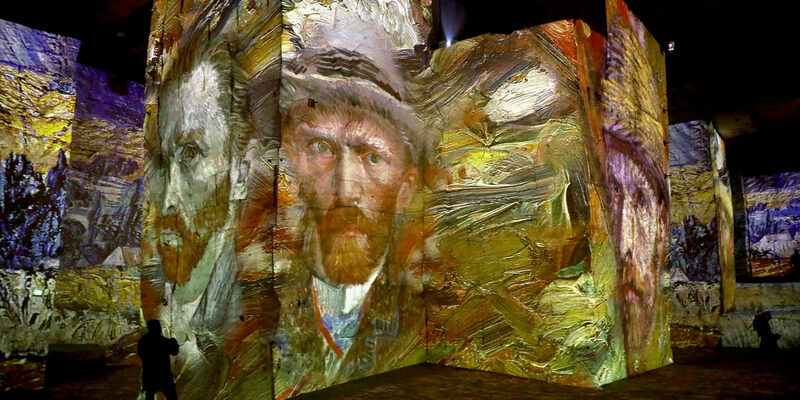 This year, Carrières de Lumières, managed by CultureSpaces, will be showcasing Van Gogh’s lifework. To capture his story, the directors focused on his artwork from 1853 to 1890 in a visual and musical homage titled La Nuit Étoilée (The Starry Night) and it is followed by Japan Dreamt, Images of a Floating World. Traditional Japanese block prints are brought to life through the projections, carrying the spectator away to the fascinating world that strongly influenced the entire Impressionist movement. We include this experience as part of the workshops and retreats program in Southern France. Van Gogh and Influences from Art Japonais. Vincent van Gogh and many other artists were inspired by the new aesthetic from Japan when it arrived in the West during the mid-1800s. The emergence of the “Japonais” style and block prints into Europe disrupted the conventional line of thinking about rules and composition in art. Up to that point, Western art tended to follow traditional ideas of realism in painting, using compositional basics such as the “golden mean” based on Fibonacci’s ratio. When their isolationism ended and Japan opened up to the West, a rush of new cultural aesthetics flooded into Europe and beyond. The Japanese tea ceremony, beautiful geishas, elegant clothing and their artwork rich with its flattened forms, expressive lines, innovative arrangements, composition and strong designs, found footing in the West as the Japanese Style. Vincent van Gogh was particularly impressed. This influence is obvious in his paintings. Les Baux-de-Provence is a gorgeous medieval village with quaint shops, narrow streets and small squares. It has earned the official designation as one of The Most Beautiful Villages in France for good reason! The quarries at Les Baux used to be a center for mining the limestone that was used throughout the region for constructing chateaux, farmhouses and villages. Now that the mining is over, the quarries have been converted into a unique cultural center with leading-edge audio-visual displays of artwork. CultureSpace: Throughout our workshops, we have included a trip to Les Baux and Les Carrières de Lumières for our artist-guests. They have experienced tributes on separate years to Gustav Klimt with Egon Schiele (again they were influenced by the Japanese Style), Marc Chagall, The Spanish Masters – from Goya, Sorolla to Picasso and the Giants of the Renaissance featuring Michaelangelo, Raphael and Leonardo da Vinci. The masterminds behind the project can be found at CultureSpaces. They oversee many cultural projects including the fantastic projections of art. In 1990, CultureSpaces was founded by Bruno Monnier with management strategy for monuments, museums, and art centers. Monnier developed CultureSpaces with the intention of preserving the heart of culture within a modernized society. For each prestigious venue, Culturespaces adapted a different strategy that would not only conserve history but apply a modernized approach. 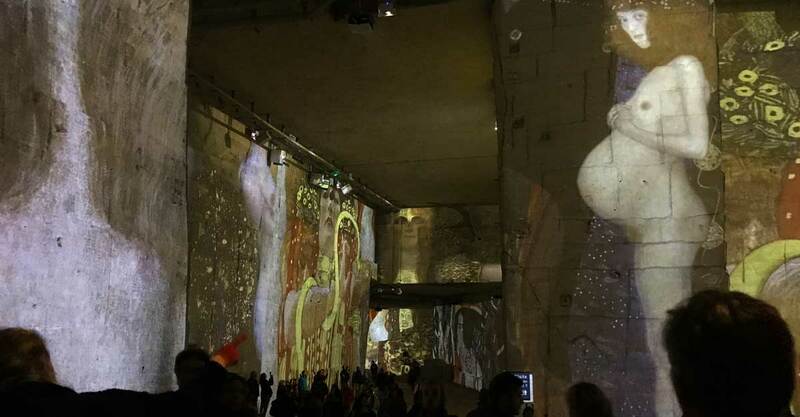 In 2016, Culturespaces launched Atelier Lumiere (Studio of Light) which opened in Paris to massive acclaim in 2018. Fingers crossed, CultureSpaces will make its way to other countries! Bauxite is a rock used in the making of Aluminum (Aluminium). 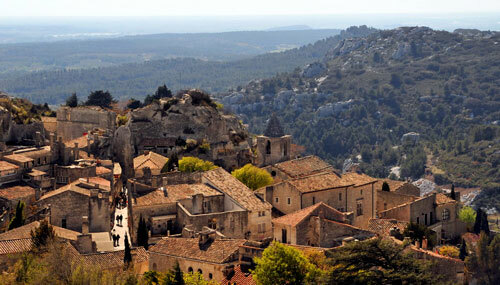 Aluminum is extracted from the Bauxite which got its name from this very same medieval village of Les Baux. So, remember this the next time you’re roasting your turkey under a sheet of aluminum foil! 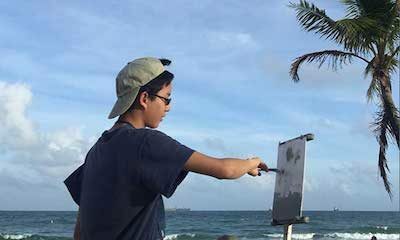 Aluminum has a presence in the world of art. 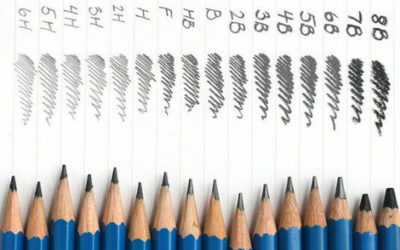 Artists use it as a painting substrate for its stable and lightweight qualities. 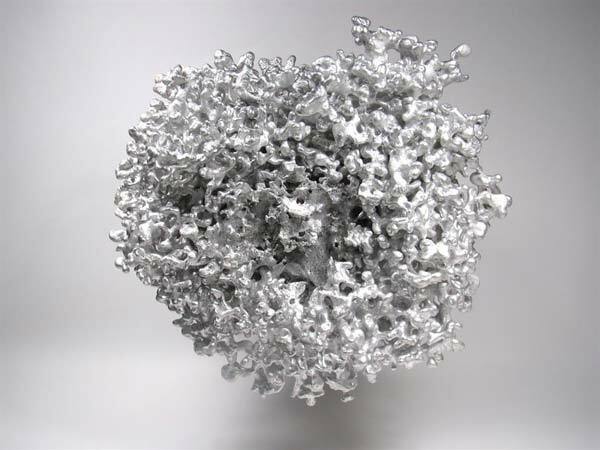 Here’s an aluminum casting of a fire ant-hill. More about that here.